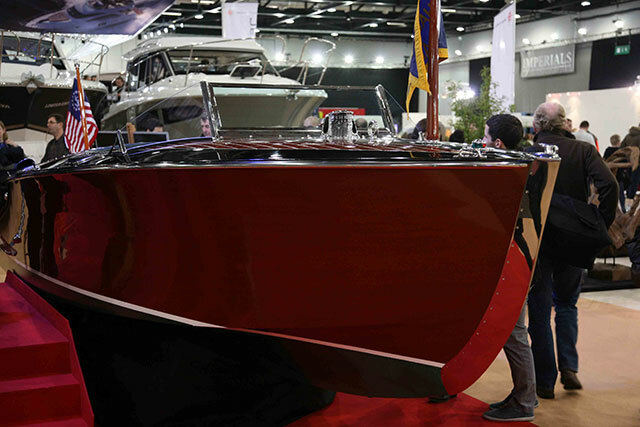 The 18-foot bow rider segment is one of great importance to boat manufacturers and of peculiarly fond resonance for powerboaters. 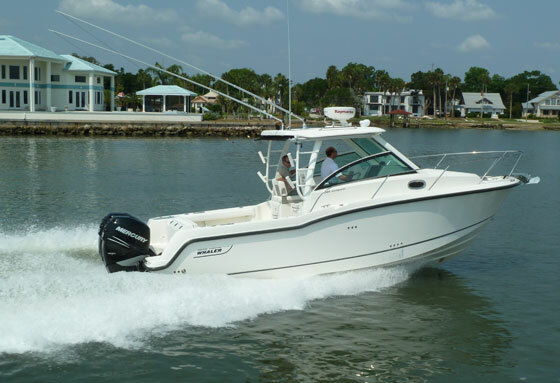 The vast majority of us have flirted with this kind of boat at some point or other and, though some speed-loving offshore purists like to scoff at these family-friendly, fair-weather boats, a well-executed bow rider is often capable of satisfying the vast majority of the more vital modern powerboating criteria. The ‘SoftRide VEC’ hull is an interesting piece of work. 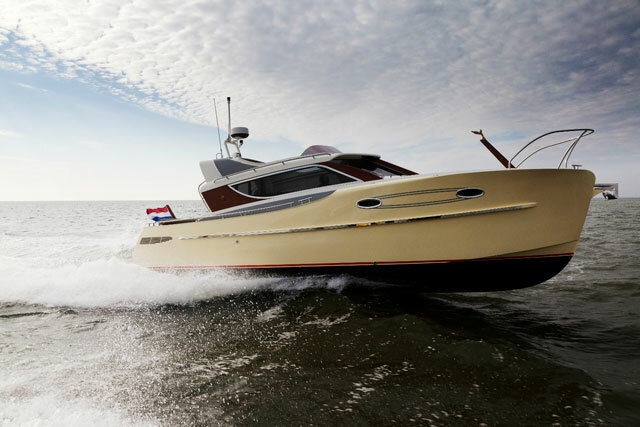 Despite the boat’s role as a family-friendly runabout, the relatively acute hull angles suggest that the traditional planing efficiency will be usefully counterbalanced by some extra ride comfort and handling composure. Though the direct meaning of the acronym ‘VEC’ remains slightly obscure, in essence it is a computer-controlled manufacturing process designed to help guarantee a better level of build consistency. 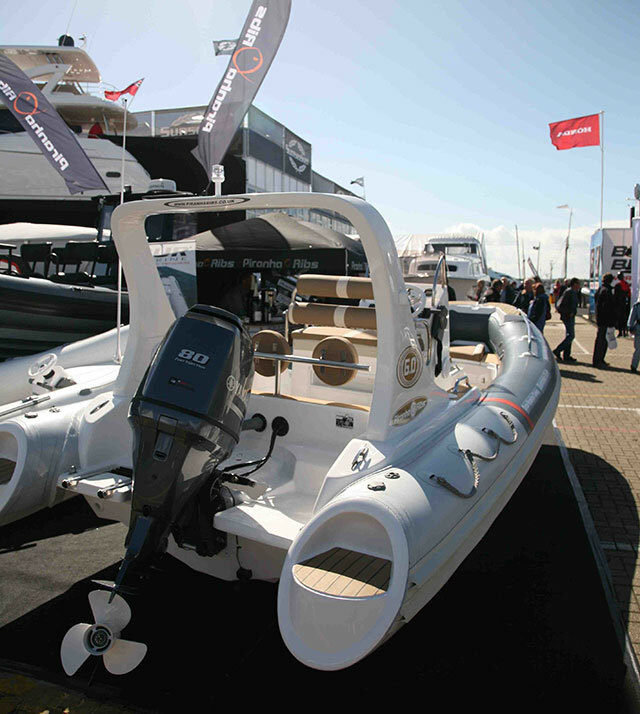 A closed-mould composite lamination process means each hull is built from one single piece with an integrated stringer system. That makes it stronger, lighter and more reliable - and the absence of wood means there is nothing to rot or decay over time, so it ought to enjoy good longevity too, aiding both peace of mind and long-term resale values. When you step on board, the merits of the build process are quite plain. Though relatively conventional in terms of its layout, everything is sensibly arranged and neatly finished. 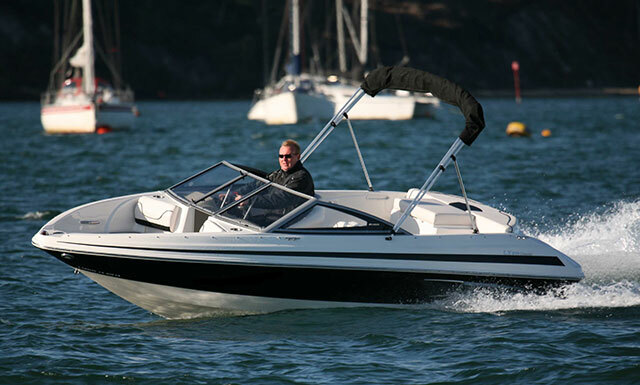 There is also sufficient versatility to arrange the rated capacity of seven people in a variety of ways - with up to three in the bow, two at the helm and another three on the aft jump seats and the back of the folding two-man port seat. And because the very deep, secure cockpit comes with a small table as part of the standard package, it’s a very easy space to enjoy. What is less ideal is the ‘Back-to-Back Lay-Down Sun-Bather Seat’. It’s not especially comfortable or supportive as a place to sit - and when deployed in the flat position, its capacity as a lounger is equally limited. More to the point, there is no storage factored into the base of this particular unit and that seems a waste of perfectly serviceable space on a sterndrive boat of such modest size. Back aft, between the two lateral jump seats, access to the servicing points of the engine is also quite awkward - partly because every bit of space in the compact compartment is used up by the motor’s bulk and partly because the cover hinges forward instead of upwards. And up at the bow, things are equally impractical for the disciplined seaman. 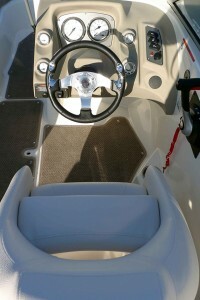 The nav light sits directly ahead of the forward cleat and comes without any fairleads, so dropping an anchor is an altogether more problematic operation than it needs to be. 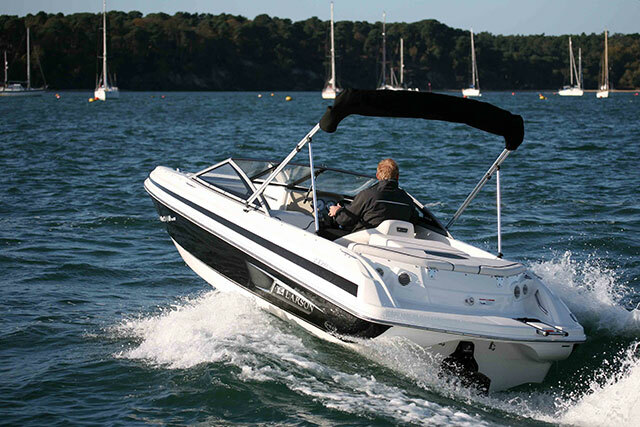 Nonetheless, given that this boat comes in at just a shade over £21,000, the standard features list remains undeniably good. 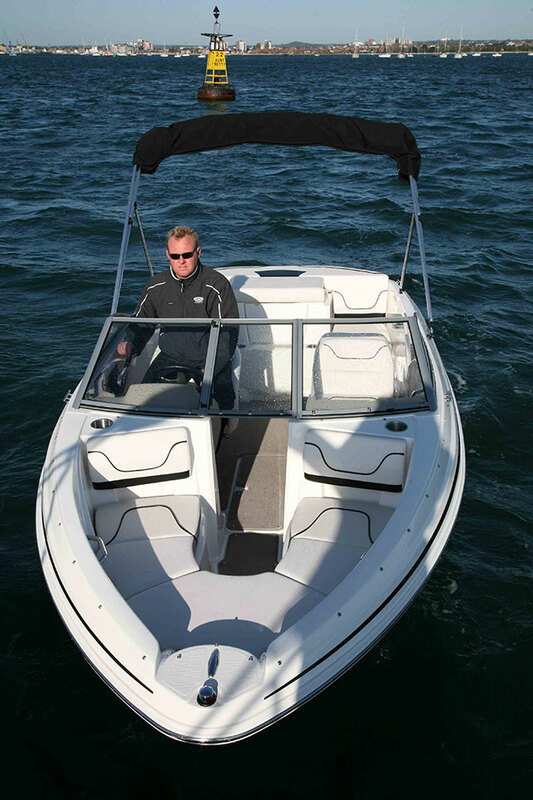 You get a well sized integrated bathing platform with boarding ladder, a walk-through windscreen, under-console netting storage and an unstinting array of well-placed grab handles. You also get a towing ring for skiers and a stereo system with MP3/iPod outlet neatly tucked away in the glove box to port. 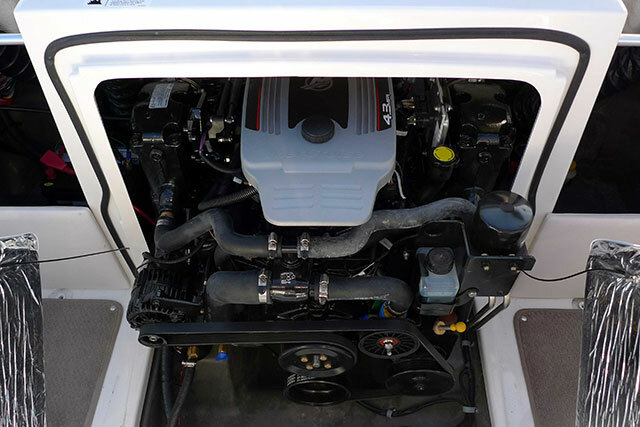 The MerCruiser 4.3 Mpi sterndrive engine delivers a very sound driving experience. The driver's sporting bucket seat comes with a flip-up bolster. As you would expect of a Larson bow rider, a century of leisure boat experience (allied to the reliable quality control of highly mechanised production methods) means that once you get underway, nothing is uncertain, experimental or surprising. Instead, the well-proven Delta-VEC, vacuum-infused hull is matched to an equally well-proven MerCruiser 4.3 Mpi sterndrive engine to generate a very sound and competent driving experience. 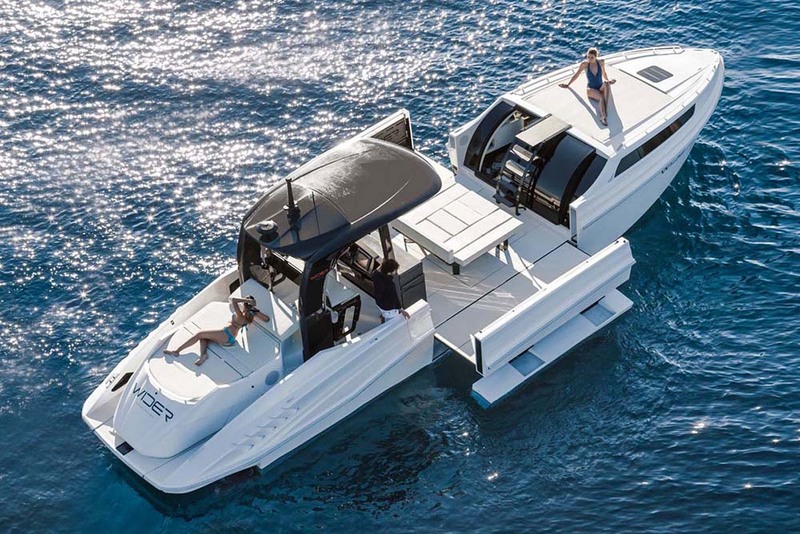 The 21-degree deadrise (quite acute for a boat of this kind) softens impacts with laudable efficiency and with the top-end 220hp powerplant beneath the bulging engine hatch, the 850 offers plenty of throttle response for watersports. In fact, if you enjoy getting out on the end of the line, there is plenty of grunt on tap here, so you should supplement the ski towing ring (which comes as standard) with the optional wakeboard tower. Up at the helm itself, the driver’s sporting bucket seat comes with a flip-up bolster and attractive analogue Faria dials. Everything is comfortable, well positioned and well protected. Only the addition of an angled foot brace to assist with support and security during a vigorous drive would notably improve the set-up. There's plenty of power on tap here - you should consider the optional wakeboard tower. 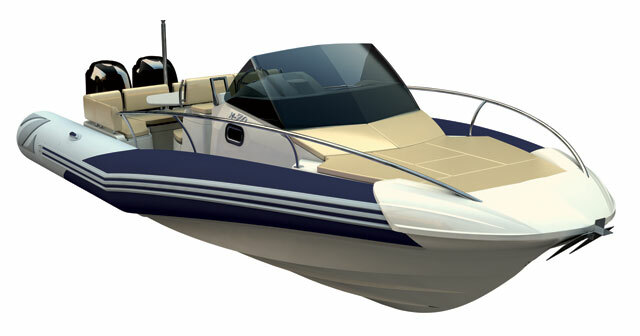 The Larson 850 LX is quite a traditional entry-level family sports boat. The simplistic but measured approach keeps the price competitive without damaging the ability of the standard package to function as a family runabout. It drives well, looks good and comes with a useful array of features. With an attractive finish, a secure family cockpit, a capable hull and a range of upgrade options, it’s a solid and dependable bow rider option. For more details contact Gibbs Boat Sales or Larson Boats. 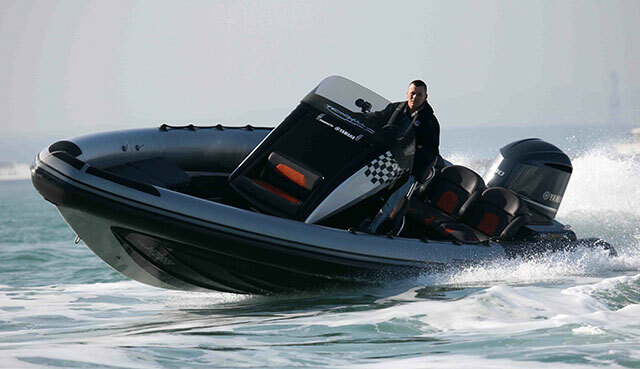 For more of the Larson range, see 3 Top New Power Boats: Hacker, Larson and Morgan.